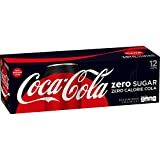 Coke Zero Sugar is the replacement for what used to be called Coke Zero. 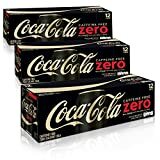 It is formulated to taste more like regular Coke than Diet Coke and its predecessor Coke Zero, which is achieved by using both aspartame and ace-k sweeteners. Both Cherry and Vanilla have the same caffeine content as regular Coke Zero Sugar. Although the flavor profile of this Coca-Cola product has changed, the caffeine content of the beverage is the same as the original. 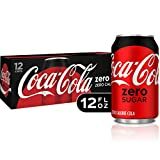 How Does Coke Zero Sugar Compare? Coke Zero Sugar contains 2.83 mgs of caffeine per fluid ounce (9.58mg/100 ml).